"The blood is the life." As Halloween comes around we start to think of ways to make our cocktails a little abnormal, from the smoke and sparks of mad scientist to the darkness of a drink so black you can get lost the moment it touches your lips. A Bite in the Night is one of those cocktails. It is not what it seems. 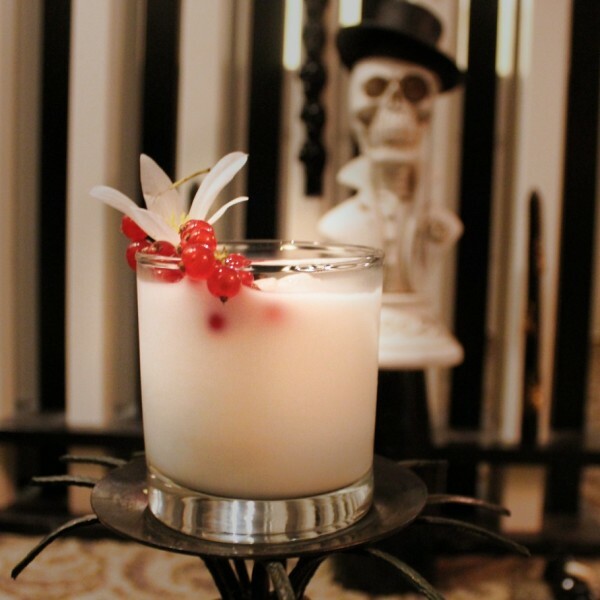 Inspired by one of the originals of darkness - be careful if you let your guard down - enchanting as this cocktails seems, it may just bite! - shake all ingredients and strain over fresh/garnish ice cubes.